We are currently accepting pitches for web content or creative-collaborative projects. We’re looking for interesting articles, essays, reviews, or other non-categorizable content. We want people with beautiful minds and skills to match. No poetry for now. Interested in one-off opportunities? Regular contributions? Serializing something-or-other? 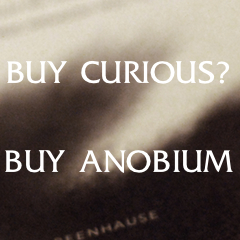 Send us an e-mail to tell us about yourself and why Anobium deserves you.